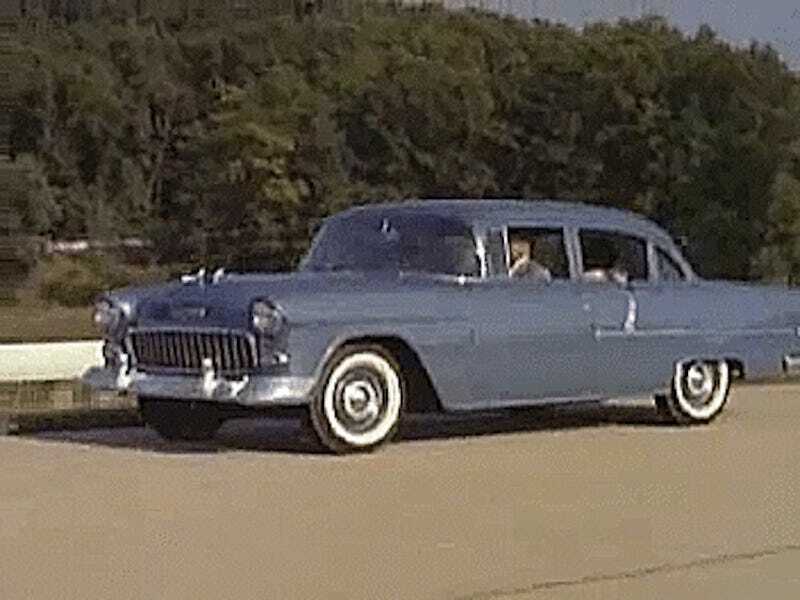 The pride radiating from this particular sequence of 1955 Chevrolet Motoramic advertisements is charmingly entertaining—the video paints a picture of how perfect Chevrolet and its new car are, from looks to timing. The video advertises the car as a “new concept of low-cost motoring” perfect for traveling long distances, complete with show-car styling to make any driver proud. Each clip says “new” just about every other word, because there obviously aren’t any better or more creative ways to describe things. If you’re having a rather uneventful afternoon and want a challenge, bonus points for anyone who can count how many times the audio track says “new” without going crazy. It seems to be about as common as “dynamism” and “dynamic” are these days. Good luck with the challenge, should you choose to embark on it. While we’re at it, which is worse—the use of “new” every five seconds, or the predictable but less prevalent use of “dynamism”?